Make your home smell like Christmas with any (or a combination) of these scents. Get into the holiday spirit and fill the air with scents that remind you of everything amazing about this festive season. Which ones to get and where to buy them? Your favourite Christmas symbol in a tumbler! Yankee's Mistletoe Candle carries the woody scents of mistletoe, berries, pine boughs, and holly. Pine and eucalyptus are two of the most popular scents during the Yuletide season. Let this Jo Malone special greet your guests when they visit you on Christmas. 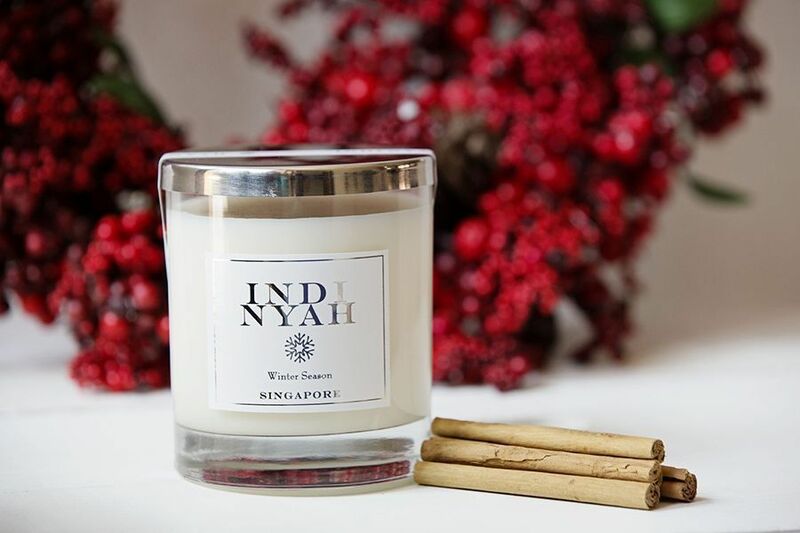 It's winter wonderland in a delightful package that contains notes of mulled wine, juniper and holly berries, hot spice, and glowing embers in rich fruits fragrance. With a woody fragrance of pine sap and needles, your home will surely smell like a forest in the middle of winter. Combine orange and cinnamon and you get a tangy and spicy scent to fill your home with. It comes in a chic tin packaging can, so it's also a great gift for friends. The calming scent of peppermint is perfect for cold December nights. Fresh and fruity, the scent of mandarin at home is reminiscent of sumptuous get-togethers over dinner. A Christmas classic, gingerbread recipes are a hit among the young and old. Let this gingerbread candle—with cinnamon, cardamon, hints of clove, nuts, brown sugar, and caramel—evoke many sweet childhood memories. Feeling the stress of this busy season? Fill your bedroom or living room with the soothing aroma of eucalyptus to calm you down. The buttery rich vanilla scent of this candle will make you crave for your mum's freshly baked goodies. The fresh fig scent will relax the people at home in no time. It's perfect for bedrooms or when taking a long, much-deserved soak in the tub. It's perfectly fine to nibble on those holiday sweets especially when the sweet fragrance of vanilla fills the air at home. Fill a bowl with this orange cinnamon potpourri and enjoy a citrus gelato fragrance of sweet valencia orange and sweet spice. Perfect for the entryway, bedroom, and bathroom. What's your Christmas scent at home? Share with us at hello@cromly.com.